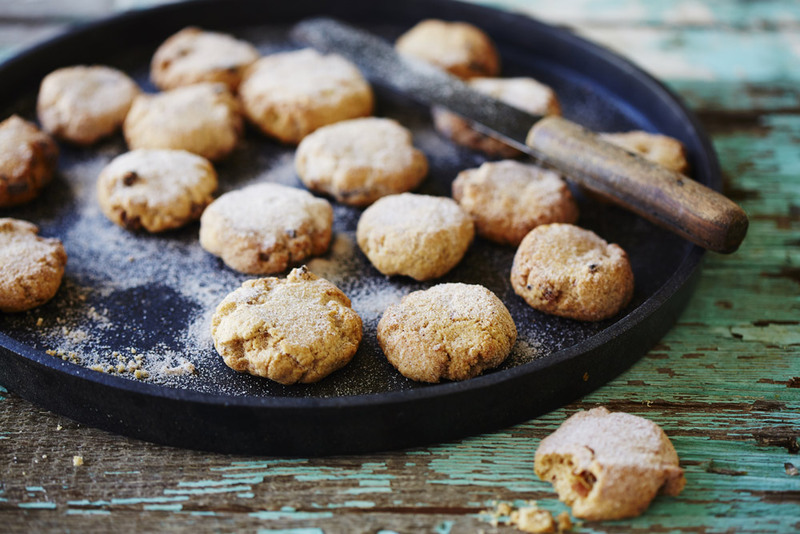 These cookies are a favourite snack time treat made with auzure Canola Oil. The apricot twist makes them hard to resist. Preheat the oven to 180°C. Line 2 baking trays with baking paper. Place sugar, auzure Canola Oil, egg and egg yolk in a large bowl and stir to combine. Sift in flour and baking powder and stir. Fold in dates, apricots and walnuts. Roll heaped tbsps of mixture into 20 balls. Place balls, 3cm apart, on prepared trays and flatten slightly. Bake for 15 minutes or until golden. Combine extra sugar and cinnamon in a large bowl. 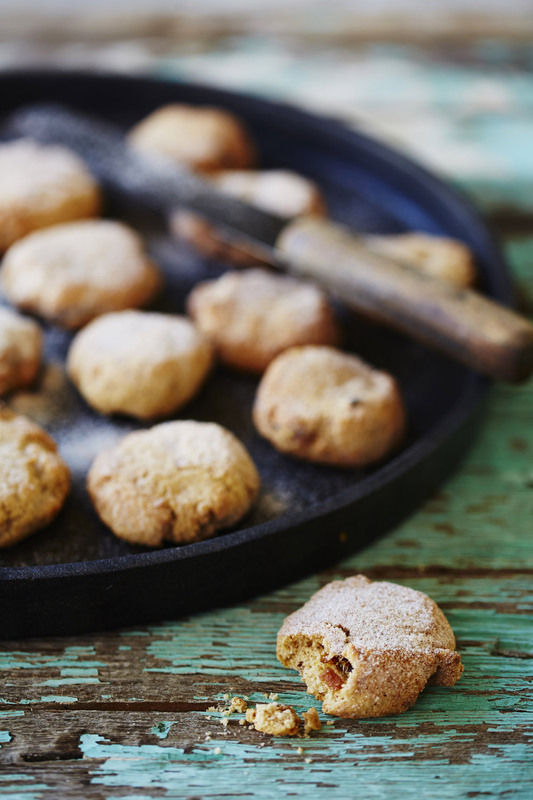 Toss warm cookies in the cinnamon sugar.